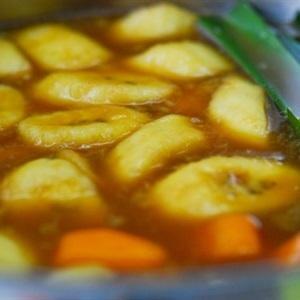 Indonesian Kolak Pisang or sweet soup with sweet potato and banana is a famous Indonesian dessert. 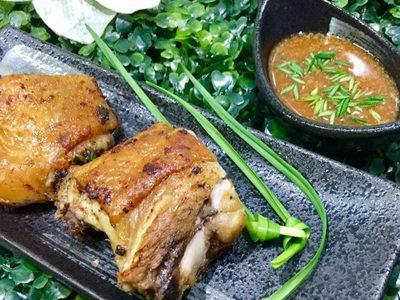 Besides, Indonesian Kolak Pisang is so popular that we can find it in almost every restaurant in Indonesia. Also, what makes it so famous is the harmonious combination of its ingredients. 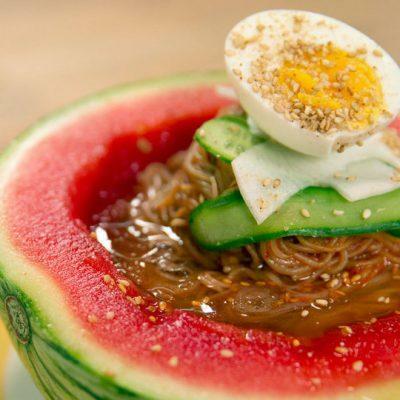 In addition, the sweet soup needs to have a medium condense. Besides, the ingredients are soft but not crushed. 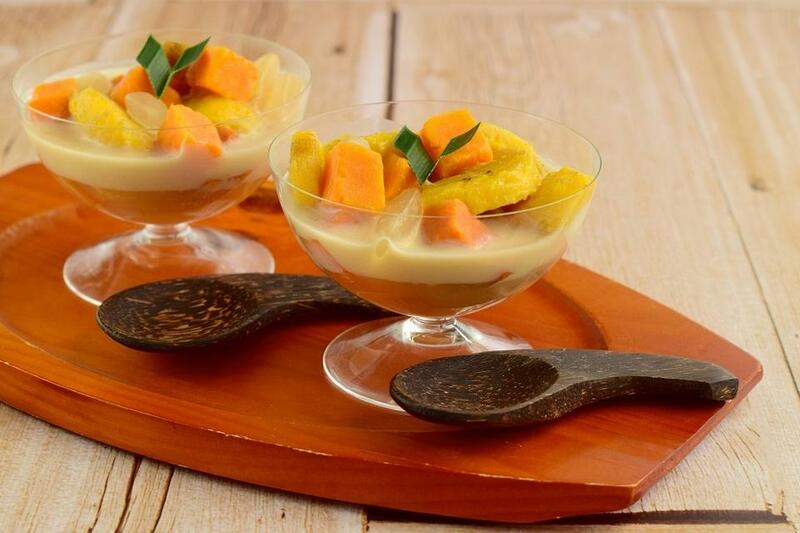 Therefore, in this article, we will show you the Indonesian Kolak Pisang recipe so that you can make this yummy sweet soup for your family as a nutritious dessert besides the main meals. 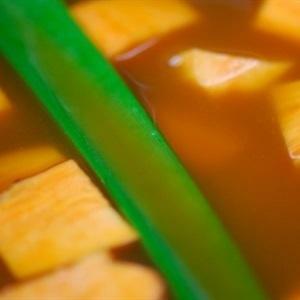 Wash sweet potatoes, peel and cut them into square medium-size pieces. Boil the mixture of water and coconut milk in a pot with a small flame. 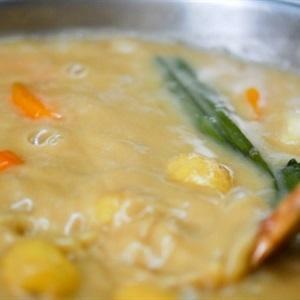 Then, add pineapple leaves and continue to boil the mixture. Add jaggery and sweet potatoes into the pot. While waiting for sweet potatoes to be soft, wash the cassavas and peel them. Then cut them into pieces to steam. 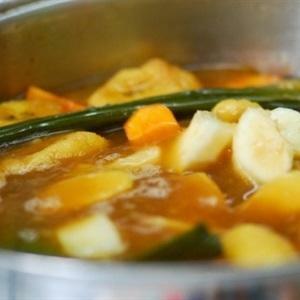 When the sweet potatoes become almost cooked, add the bananas. Next, add cooked cassavas. Boil the mixture with a small flame. 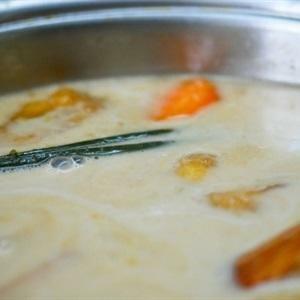 Cook for about 10 minutes then add coconut milk. Continue to boil the mixture with a small flame. Sometimes, use chopsticks to stir. Cook until the ingredients are soft but not crushed. 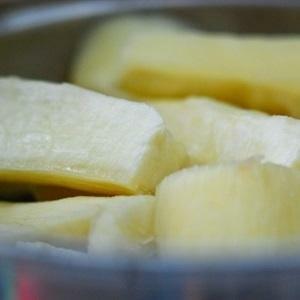 After that, add Nipa palm fruit and salt and cook for 2 more minutes and then turn off the stove. 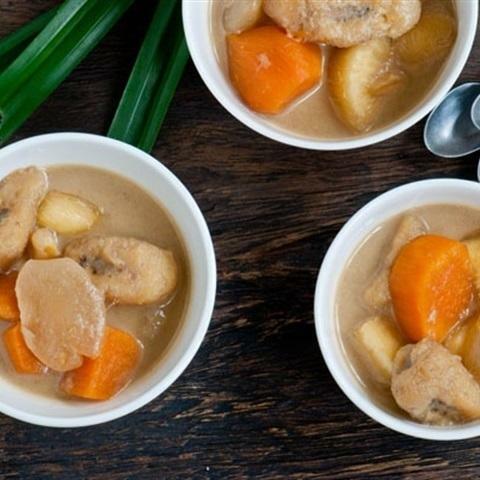 The delicious sweet soup needs to have a medium consistency, are ingredients are soft but not crushed.